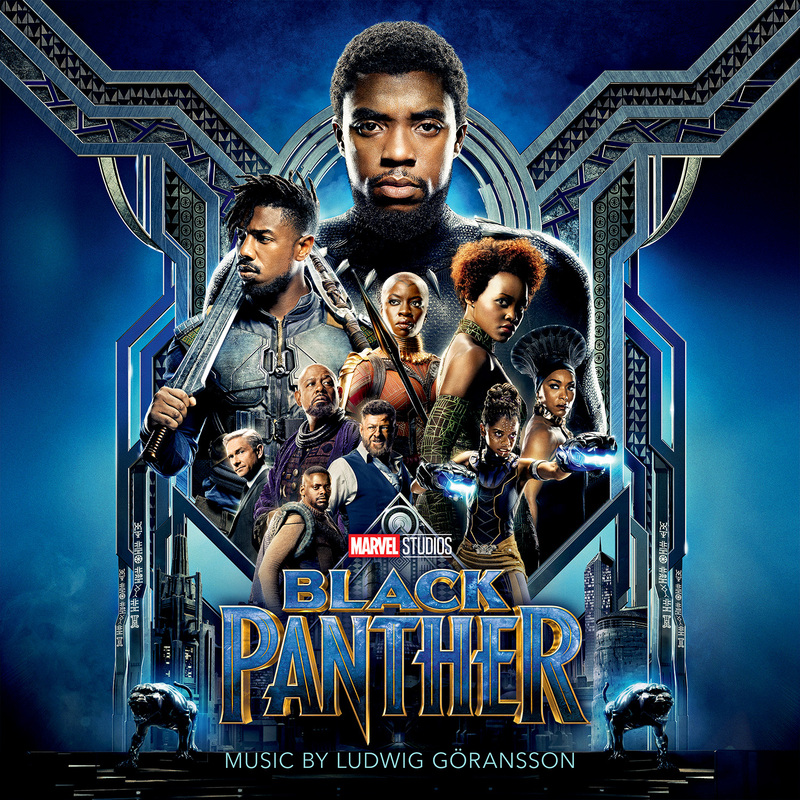 “Wakanda” features a great vocal beginning that initially sounds like Lebo M., but is actually Senegalese singer and guitarist Baaba Maal, who has a writing credit along with Göransson on this memorable work. The intermittent drums and swelling orchestrations compliment Maal’s voice perfectly, and the rhythms, choir, and orchestration provide a grand ending. “Wake Up T’Challa” quietly reverberates and ebbs for over six minutes, reflecting the impact of a key sequence in the film. “The Great Mound Battle” and “Glory to Bast” ramp up the action based on quick- rhythmed percussion. “A New Day” pulls the heartstrings again with epic orchestration. The playful yet hopeful “Spaceship Bugatti” packs in more emotion, while “United Nations / End Titles” is basically a curtain call for all the themes, familiar movements, and powerful rhythms. The amazing blend of African percussion (e.g. sabar drums) and chorals fuse well with several orchestration styles for some satisfying and unpredictable musical experiences. This score from Marvel Music/Hollywood Records comes highly recommended (***1/2 out of four stars) and is available on digital and compact disc. This entry was posted in Music Reviews and tagged Black Panther, Ludwig Göransson, Michael Siebenaler, Mike Siebenaler, Music, soundtrack, Tall Writer. Bookmark the permalink.